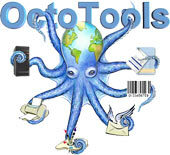 OctoTools Designer allows you to easily create and enhance the presentation of your text and data. With the implementation of an interactive GUI, you can speed up the design of new forms, emulate and thus replace pre-printed forms, and enhance report output from just about any source. Legacy reports from Unix, Linux, Aix, AS/400, OS/390, OPENVMS, HP3000 and others can be reformatted in a matter of minutes for a fresh modern appearance. 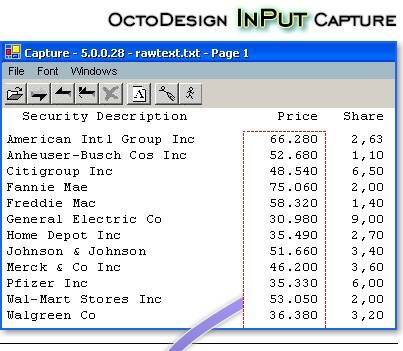 Mapping information to your new form is made easy by incorporating a drag and drop function that keeps track of your line & column source locations. Results are immediately available and viewable to aid in the design process. 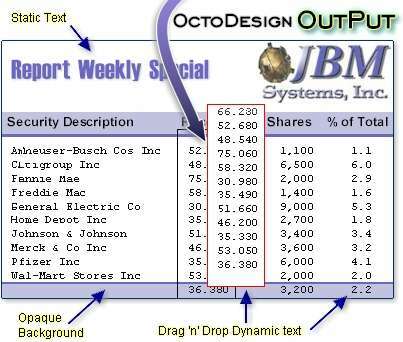 Drag and Drop Text boxes for both dynamic and static text & data placement of all elements A single design template allows output to PDF, PostScript & PCL printers. Static elements such as lines, rectangles, ellipses, boxes, images, and constants can be placed anywhere on your user defined forms template - 8 ½ x 11, A4, legal, and custom sizes are supported. All form elements can be further refined through the interactive on screen edit window to provide precise placement, font selection and size, element widths and lengths, colors, borders, and object fills. Dynamic text, whether it be a single character or a whole page, is user selected and mapped to the forms template with a simple drag and drop function. 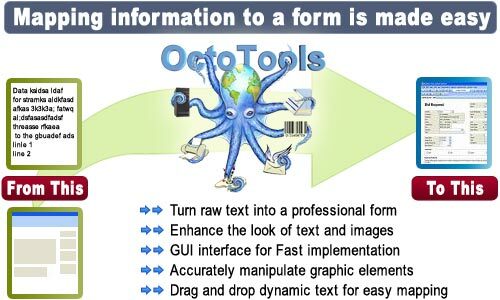 OctoTools will seamlessly integrate the dynamic data with the template. As with static elements, dynamic text can also be precisely placed on the form and further enhanced with background fills; text box border type, color, font selection and size through the on screen edit menus.